Gaca, A. O., Colomer-Winter, C. and Lemos, J. A. (2015). Many means to a common end: the intricacies of (p)ppGpp metabolism and its control of bacterial homeostasis. J Bacteriol 197(7): 1146-1156. Aviles-Reyes, A., Miller, J. H., Simpson-Haidaris, P. J., Hagen, F. K., Abranches, J. and Lemos, J. A. (2014). Modification of Streptococcus mutans Cnm by PgfS contributes to adhesion, endothelial cell invasion, and virulence. J Bacteriol 196(15): 2789-2797. Frank, K. L., Colomer-Winter, C., Grindle, S. M., Lemos, J. A., Schlievert, P. M. and Dunny, G. M. (2014). Transcriptome analysis of Enterococcus faecalis during mammalian infection shows cells undergo adaptation and exist in a stringent response state. PLoS One 9(12): e115839. Abranches, J., Tijerina, P., Aviles-Reyes, A., Gaca, A. O., Kajfasz, J. K. and Lemos, J. A. (2014). The cell wall-targeting antibiotic stimulon of Enterococcus faecalis. PLoS One 8(6): e64875. Aviles-Reyes, A., Miller, J. H., Simpson-Haidaris, P. J., Lemos, J. A. and Abranches, J. (2014). Cnm is a major virulence factor of invasive Streptococcus mutans and part of a conserved three-gene locus. Mol Oral Microbiol 29(1): 11-23. Palmer, S. R., Miller, J. H., Abranches, J., Zeng, L., Lefebure, T., Richards, V. P., Lemos, J. A., Stanhope, M. J. and Burne, R. A. (2013). Phenotypic heterogeneity of genomically-diverse isolates of Streptococcus mutans. 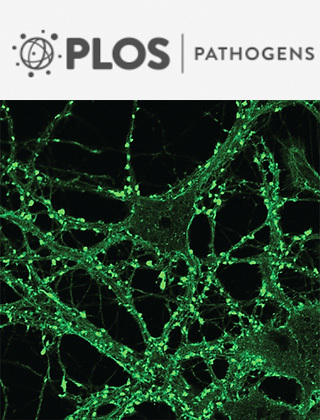 PLoS One 8(4): e61358. Gaca, A. O., Kajfasz, J. K., Miller, J. H., Liu, K., Wang, J. D., Abranches, J. and Lemos, J. A. (2013). Basal levels of (p)ppGpp in Enterococcus faecalis: the magic beyond the stringent response. MBio 4(5): e00646-00613. Abranches, J. and Lemos, J. A. (2012). Chapter 2: Stress Response of Streptococcus. In: Stress response in microbiology. Horizon Scientific Press. Chavez de Paz, L. E., Lemos, J. A., Wickstrom, C. and Sedgley, C. M. (2012). Role of (p)ppGpp in biofilm formation by Enterococcus faecalis. Appl Environ Microbiol 78(5): 1627-1630. Kajfasz, J. K., Mendoza, J. E., Gaca, A. O., Miller, J. H., Koselny, K. A., Giambiagi-Demarval, M., Wellington, M., Abranches, J. and Lemos, J. A. (2012). 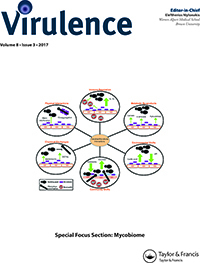 The Spx regulator modulates stress responses and virulence in Enterococcus faecalis. Infect Immun 80(7): 2265-2275. Gaca, A. O., Abranches, J., Kajfasz, J. K. and Lemos, J. A. (2012). Global transcriptional analysis of the stringent response in Enterococcus faecalis. Microbiology 158(Pt 8): 1994-2004. Falsetta, M. L., Klein, M. I., Lemos, J. A., Silva, B. B., Agidi, S., Scott-Anne, K. K. and Koo, H. (2012). Novel antibiofilm chemotherapy targets exopolysaccharide synthesis and stress tolerance in Streptococcus mutans to modulate virulence expression in vivo. Antimicrob Agents Chemother 56(12): 6201-6211.
de Oliveira, N. E., Abranches, J., Gaca, A. O., Laport, M. S., Damaso, C. R., Bastos Mdo, C., Lemos, J. A. and Giambiagi-deMarval, M. (2011). clpB, a class III heat-shock gene regulated by CtsR, is involved in thermotolerance and virulence of Enterococcus faecalis. Microbiology 157(Pt 3): 656-665. Quivey, R. G., Koo, H., Lemos, J. A. and Kopycka-Kedzierawski, D. (2012). Chapter 11: Dental caries: general concepts. In: Oral microbiology and immunology. ASM Press. Quivey, R. G., Koo, H., Lemos, J. A. and Kopycka-Kedzierawski, D. (2012). Chapter 12: Pathogenic Mechanisms in Dental Caries. In: Oral microbiology and immunology. ASM Press. Burne, R. A., Abranches, J., Ahn, S. J., Lemos, J. A., Wen, Z. T. and Zeng, L. (2011). Chapter 13: Functional Genomics of Streptococcus mutans. In: Oral microbial communities: genomic inquiries and interspecies communication. ASM Press. Lemos, J. A., Tsakalidou, E., and Papadimitriou, K. (2011). Chapter 12: Stress responses of Streptococci. In: Stress responses of lactic acid bacteria. Springer Science + Business Media, LLC.